The Heart stores the Spirit. When the heart and the spirit are in harmony, one sleeps well, speaks kindly with compassion and their intentions and actions are shared, as the moment is right. This is so true. When I work with people to gain more resiliency or heart coherence, other things start to naturally fall into place in their life. If you are feeling anxious, have troubles sleeping or can’t seem to get your timing right, then your heart and spirit are out of sync. You see, when the heart does not get enough Yin or Blood, it lacks substance and then it cannot anchor the spirit, causing the mind to wander. Countless times I have witnessed when patients restore their spiritual connection, whether that is inviting the Holy Spirit into their souls, getting outside more in nature, or bringing themselves closer to God in relationship, their anxiety dials down a notch or two. Usually I get a big hug too, which is all confirming of their gratitude and joy. The Heart is also regulates the flow of blood, and when the Heart Qi and Blood are abundant and flowing, the pulse will be even and regular. The majority of Heart problems are a result of imbalance in other systems. This is because the Heart relies on other organs for its nourishment and energy. Treating other organs to reduce heat and nourish Yin are also ways of ultimately supporting the smooth flow of Qi and Blood to the Heart. You may trace the acupuncture heart meridian by starting at your axilla (arm pit) and travel down along the inner aspect of your bicep, across the inside of your elbow, and go along your inner forearm toward and off the inside of your pinky finger. By treating the heart channel with acupuncture, your mind will calm (reduce sadness fear, anxiety, mental restlessness), your heat will clear (treat dry mouth, red eyes), and you will feel invigorated as we tonify Heart Qi and stimulate Heart Blood. Sometimes to help stimulate the body’s own innate mechanisms to heal I will prescribe a botanical short term to help calm the mind and nourish the Yin. This can help while the acupuncture is doing its thing and you are learning how to balance your energies with your breath and your thoughts. Nourishment in the diet can also help build Blood and strengthen the Heart. If you’re looking to lose weight, you might be wondering: Should I focus on doing cardio or should I weight train? The answer, for those of you not interested in hanging around for the “why” part of the answer, is both. What matters most is the way you train, the system you train under, and your lifestyle. The cardio vs. weight lifting question stems from the days when “cardio” usually meant going to a low-level aerobic class and “weight lifting” meant spending a couple of hours in the “free weight room,” chatting with your buddies between attempts at “out-benching” each other. These days, most workout programs incorporate both, often during the same workout. Most “cardio” work has an element of resistance training, either in the form of added weight or plyometric movements, while most “weight lifting” work has a cardio element because it’s done in circuits. There are two myths inherent in this age-old question. The first is that weight training will make you bulky. The second is that cardio doesn’t build muscle. Let’s dispel these once and for all. It takes a ton of energy for your body to add muscle. During the initial stages of any kind of intense training, especially one you’re not used to, your body releases excess amounts of the hormone cortisol, which causes your body to retain water. Some people think this means they are bulking up when, in reality, it’s just the body adapting to the training. 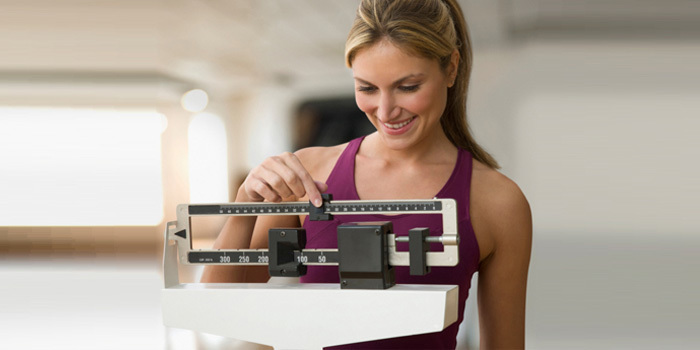 It happens whether you are trying to gain or lose weight and has nothing to do with gaining actual muscle mass. Once your body adapts to the new training, the cortisol release ceases and your body flushes the excess water. This second myth is trickier. Low-level, steady-state aerobic training will atrophy muscle, so it can be true. But “cardio” hasn’t meant aerobic zone training since Richard Simmons’ heyday in the 80s. Cardio is a catchall term for any training that elevates your heart rate for the entire workout. These days, since almost all weight training is done circuit style, your heart rate remains elevated during both cardio and weight training workouts. Modern cardio training is almost always an offshoot of interval training, which means it’s a mix of aerobic and anaerobic training. And this builds muscle. Probably the easiest example to help you understand this is to look at some of the Beachbody Success Stories. Take a look at the results from INSANITY and those from P90X. INSANITY is a “cardio” program that uses no equipment. P90X, on the other hand, requires you to lift weights every other day. Yet, the results you’ll see from the two programs are remarkably similar. People tend to both lose weight and gain muscle. Adding muscle increases your metabolism and that’s what helps you lose weight…as long as you’re not eating too much. The best way to lose weight is to follow a solid training system that targets weight loss. A system takes into account your entire lifestyle, workout, diet, sleep, and supplements. Why? Because all of these things affect your body’s ability to change. The key to weight loss is to change your metabolism. While it’s easier to alter your metabolism through weight training than cardio, both will do it if the workouts are well designed. The word you’re looking for to make this happen is intensity. By that, I mean you need to force your body to work in the anaerobic realm. Because your body depends on air to live, forcing it beyond its ability to breathe causes it to release performance-enhancing hormones to survive. When done consistently, these hormones change your metabolism. Of course, you’ll die if you stay in the anaerobic zone for too long, which is why you only do anaerobic work in short intervals. In between these intervals, your heart is working out aerobically to recovery. As long as the breaks between your anaerobic sets are strategic, you get a powerful cardio workout during every anaerobic workout. For example: circuit weight training—consisting of many sets to failure, with short breaks—is not only a great anaerobic weight training workout, but also a very effective workout for your cardiovascular system as well. The next factor when it comes to boosting your metabolism and losing weight is recovering properly between workouts. This is why having a system is so important. Intense anaerobic training is stressful for your body. You need this stress to change your hormone balance, but if you overstress yourself, it will lead to problems in the form of overreaching and, if you do it too long, overtraining (both responsible for maladies from lack of results to injury or illness). A proper exercise program takes this into account by scheduling different styles of workouts next to each other to create a balance between intensity and recovery. Your nutrition and lifestyle are very important for proper recovery. The better you eat, the faster you recover. Ditto for sleep. (I don’t care how many episodes of Game of Thrones you need to catch up on.) Sleep is when your body produces its natural PEDs (performance-enhancing drugs). So get your shuteye! All of this is why Beachbody never sells individual workouts that aren’t attached to a program—or system—for your training. It’s not that doing random exercise isn’t good for you. It can be. However, we design workout systems that synergistically combine aerobic and anaerobic training (along with sundry other types of training, not to mention proper nutrition) to give you results. That way, it’s much easier for your body to change its metabolism, and for you to lose weight. To recap, whether your exercise routine is focused on cardio or weight training has very little to do with whether you’ll lose weight. The best training programs have elements of both aerobic and anaerobic training and the important factors for weight loss are: pushing yourself beyond your comfort zone (aka intensity), eating enough to recover (but not too much), and resting enough between your workouts. Balance these factors correctly and your metabolism will shift and the pounds will melt away. Perfect for the chocolate fix and high in magnesium, fibre and prebiotics. Gluten, dairy, egg free & dreamy! Melt the following in pan on low heat while stirring constantly. Takes less then 2 minutes. 1 cup *black beans (drained if using from can). See below on cooking idea. Puree in food processor until smooth. Takes about 3 min. You may have to scrape the edge to get it to all mix entirely. Prepare 8×8 or similar size pan with parchment paper. Cut to size. Place contents and press into pan. Bake for 15-18min or until edges appear dry. Sprinkle with sea salt while still warm. Store baked brownies in fridge for up to 1 week. * I like the less processed version of soaking the beans over night versus using the canned. Place a couple of cups of the black turtle beans in a casserole dish and fill with water. Change the water out a couple times during soaking if you can. Soak for 8-12 hours. Cook on stove in 3x as much water as beans. Lightly boil for an hour or until tender. Rinse. This recipe uses 1 cup. Extra beans are great to mix up with quinoa or brown rice for other meals. They can also be frozen for future use.